Stop carrying and refilling buckets of water for your horses. Ritchie offers four wall mounted fountains for your stall watering needs. 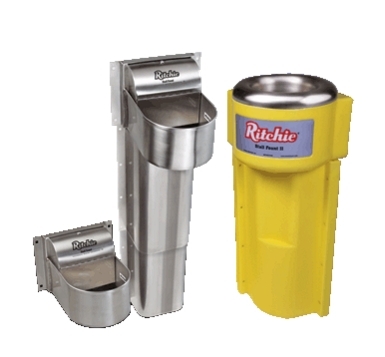 All models provide fresh clean water using Ritchie's time proven valve for rapid refill and easy to clean stainless steel troughs. If you need freeze protection for your water, choose the Stall ount 125 or the New Stall Fount II 125 for added energy efficient, heated protection.